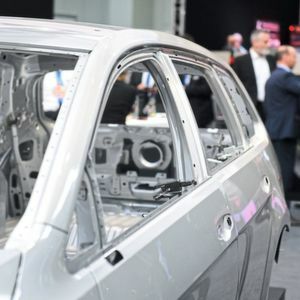 Today’s customers want more than simply steel: in order to stay on the ball as industries adapt to the digital age, steel suppliers are offering not only hardware, but also an increasing number of digital services. Tata Steel has just recently presented two new online tools for its hollow-sections for steel construction: the DNA Profiler and the Blue Book. Using the free, web-based DNA Profiler, products can be selected as 3D and BIM models. Depending on the working material data and their native data format, they can be adapted to the design software. With the Blue Book, hollow profiles can be measured online. 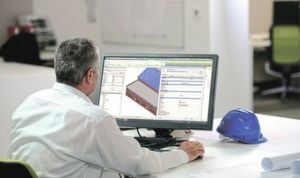 Tables give an overview of the material characteristics for steel construction according to Eurocode. Both tools are part of Tata Steel’s Customer Technical Services (CTS), which also incorporates services for the early phases of product development. Another approach is making inroads at Thyssenkrupp Materials Services: the firm has digitised its complete range and grouped it together as “the biggest working material warehouse in the world”, as the firm’s own information puts it. Here the new omni-channel structure is intended to create cross-channel, round-the-clock, individual access to more than 150,000 products and services. This is enabled by the in-house-developed artificial intelligence. “The digital networking of the worldwide stock of around 150,000 products gives our customers the greatest choice and the best possible availability of various working materials and services 24/7,” says Hans-Josef Hoß, former member of the Business Area Board at Thyssenkrupp Materials Services. Whether it concerns plastics and raw materials, steel products, non-ferrous metals, or services in the areas of materials and supply chain management, today’s customers desire individual access to the complete range on offer. time. Whether ‘just in time’ or ‘just in sequence’, the customer orders in the form best suited to him and using the channel which is most comfortable for him. We must take our orientation completely from the customers, according to their needs. 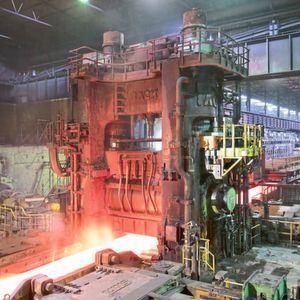 This is the basis for the increasingly smart interaction of the future,” explains Axel Berger, Head of Digital Transformation at this steel provider. Experiences with the first customers were already collected as part of a practical test. A new B2B portal within the omni-channel approach is already being rolled out as a first step. The go-live will follow in summer 2018, according to the press release. 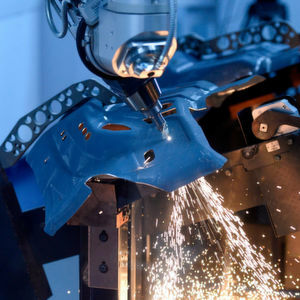 With Toii, the platform for networking the machine park at Thyssenkrupp Materials Services, the firm tells us that they had already reached a milestone in the digital transformation along the value creation chain last year. “An important precondition for profiting sustainably from digitisation is a holistic view of the whole”, says Hoß. Besides smart systems on the purchasing side, such as a cloud-supported purchasing platform, and on the sales side, such as the use of omni-channel and the virtual warehouse, he sees intelligent digitisation of operational processes as a decisive factor. “Now, thanks to our in-house-developed IoT (Internet of Things) platform Toii, machines of different types and generations can communicate with each other. In combination with their omni-channel approach, this in turn leads to simpler and faster matching and planning processes – an effect which means increased efficiency for all participants in the delivery chain,” Hoß adds. The world’s largest steel corporation, Arcelor-Mittal, is putting its trust in more digitisation, also applying it to customer contact. “We recently overhauled Net Steel, our web platform, and are offering various services to fulfil the requirements of industry 4.0. The user interface can be completely individualised and offers the customers updates and transparency in real-time,” explains Augustine Kochuparampil, CEO of Arcelor-Mittal Europe – Long Products. 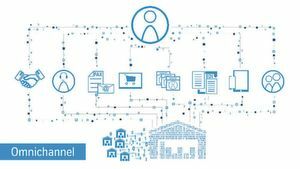 A further example is in the EDI (Electronic Data Interchange) services supplied by the steel manufacturer, with which the dataflow to and from the customers is automated. Messages for order registration, order confirmation, notice of shipping, certificate and billing are created automatically and can be exchanged via almost any connection and data format. This enables certificate management on the customers’ ERP systems and contributes to reducing the work and time required for processes, the firm informs us. The upcoming fair EuroBLECH shows, that digitisation is indeed one of the most important themes for the sector. The show has even made ‘Step into the digital reality’ its motto and will focus on smart manufacturing. Mentioned pioneers in the field of digital services like Tata Steel, Thyssenkrupp Material Services or ArcelorMittal will be exhibiting their latest products and concepts at EuroBLECH 2018.